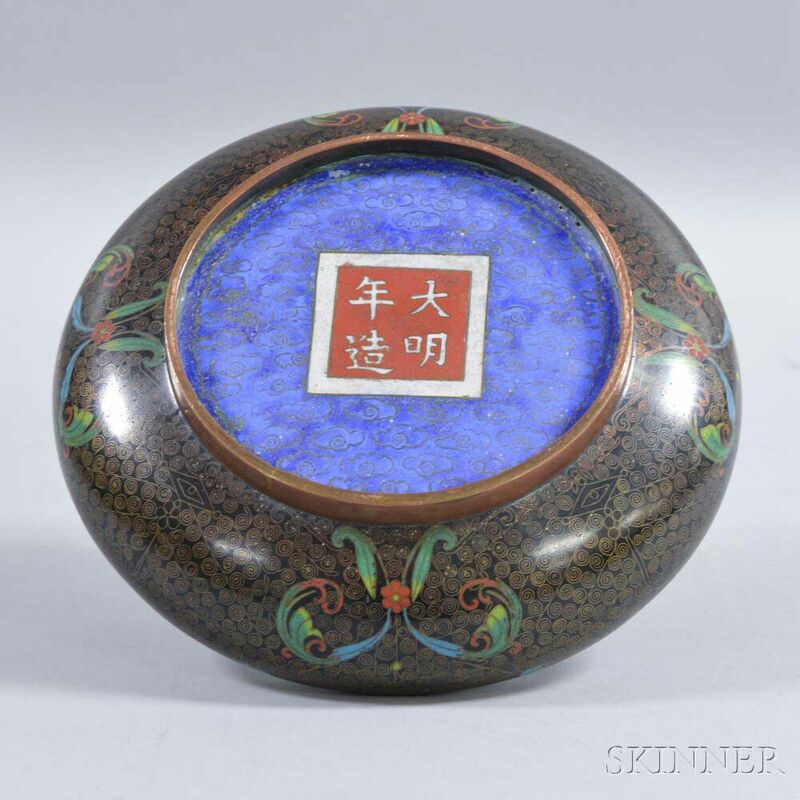 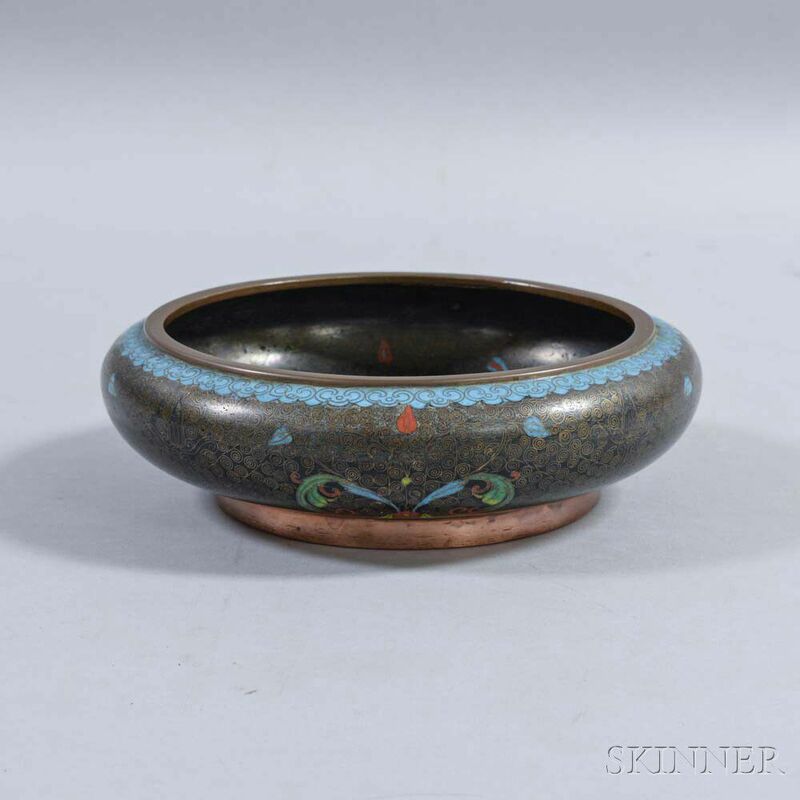 Cloisonne Brush Washer, China, squat round, on a raised foot of copper alloy, decorated with highly stylized floral and foliate design, four-character mark on base, ht. 1 5/8, dia. 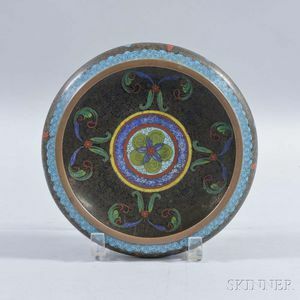 8 in.